Last year’s fairly significant — AWS outage highlighted the challenges that delivering consistent data center uptime presents. The ongoing challenge of keeping a data center online is a highly complex and often underestimated task, but one that provides the bedrock of any public cloud availability. If the data center fails, the cloud will be offline, and a cloud is only as good as the data center in which it resides. As target data center availability nears 100 percent, each small increase in availability requires an order of magnitude increase in complexity, which further increases depending on the level of data center. For instance, running a Tier IV facility is vastly more complex than running a Tier III facility, running a Tier III facility is more complex than a Tier II facility, and so on. So, naturally, each availability improvement is more difficult and complex to achieve at each corresponding data center level. As a result, many leading cloud providers with in-house data centers are actually operating at a Tier II facility level. Keeping all of this in mind, public infrastructure-as-a-service (IaaS) providers face one of two choices: either build in-house facilities, or co-locate at externally administered data centers. Most large cloud providers choose the latter, but the choice has a cascading impact on a cloud provider’s operational abilities and strategy, which is often overlooked. Clearly greater control means that a cloud provider that owns and runs its own data center facilities can more easily plan capacity and expansion needs as appropriate. Likewise, the ability to control low-level systems within the data center can enable a high degree of specialization for its particular use case, which can result in significant power savings. Similarly, metrics such as power density limitations can be determined in-house by the cloud provider. Google (s GOOG) and Facebook are two companies that are excellent examples of highly efficiently run data centers that also take a very transparent approach to their facilities with the Open Compute Initiative. One of the most profound effects that choosing to run and own data centers has on a cloud provider is its strategic direction. Purchasing and running a data center is a massive undertaking that requires significant amounts of capital investment up front. This means that it is difficult for cloud providers to expand geographically in a timely manner. What’s more, building permissions and power supply contracts can be time consuming to secure. There is also a tendency to want to choose fewer locations given the heavy logistical burden of adding each additional location to the operation. This can lead to a less localized offering with few larger silos, which results in higher-than-average latency to customer access locations. Finally, data centers that are owned and operated in-house tend to be in less desirable locations and lower-tier facilities than those provided by specialized data center operators. The result is significantly lower reliability and security with limited connectivity options as it’s challenging and costly to get carriers to connect to a new data center. Consequently, cloud operators running their own data centers tend to rely on a reduced number of carriers, and at a higher cost due to the lack of competition as compared to a carrier-neutral data center with significant economies of scale and connectivity options. Overall, for in-house operated data centers, this creates reduced redundancy, reliability and performance in comparison to using a specialized and focused data center operator. The job of effectively operating a data center would be a huge distraction from cloud IaaS providers’ core service proposition. Fundamentally, operating a public IaaS cloud is a networking and software management/development task. Whereas, conversely, running a data center is a utility operation akin to operating a power station! They require a very different focus, skill set and staff. Furthermore, the challenge of keeping redundant power and cooling systems in place is a substantial proposition. 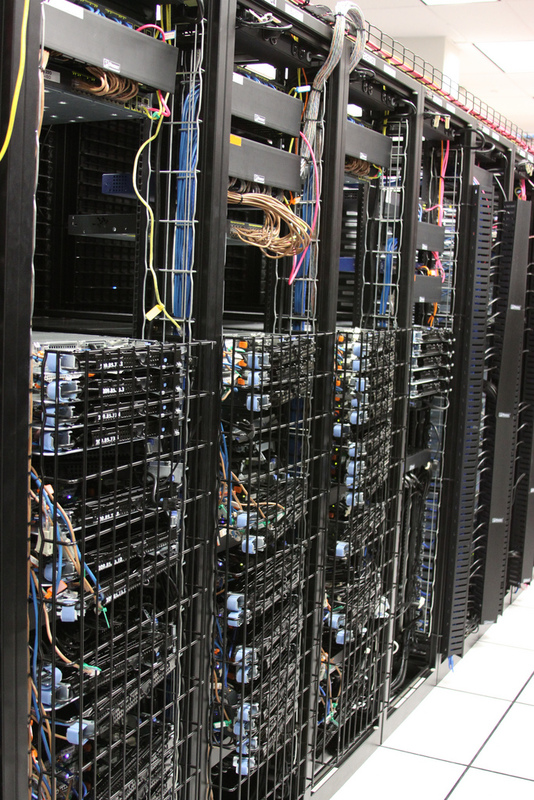 “There are so many moving parts within a data center to consider. Everything from the facility’s security and power to its redundancy and cooling need to be running at peak performance to ensure customers’ maintain high availability and reliability for their infrastructure and services. There’s no question that running a data center is a full-time job. Add to that the complexity of operating a cloud and you’ve got a hefty undertaking that requires double the staff, each with very different areas of expertise. For instance, the same person responsible for ensuring immediate failover for power supplies in the data center most likely does not have the same level of expertise to maintain backup systems for data stored in the cloud. Both tasks are essential, but maintaining responsibility for data center operations when you’re primary business is providing cloud infrastructure is a distraction from your core competency and vice versa. Furthermore, the data center business is a supply-driven business. Data center operators make a few infrequent decisions about creating and deploying capacity (supply), then aim to sell out that capacity as soon as possible. By contrast, a public IaaS cloud should ideally adjust capacity very frequently in line with demand. Whereas a data center experiences a steady growth in demand with relatively stable (but rising) utilization over time, a public cloud must manage dynamic demand in real time, as well as an overall growth trajectory. Fundamentally, therefore, a public cloud should have dynamic capacity abilities and cloud operators need to focus on managing utilization and resource allocation. By doing so, public clouds can deliver performance for customers, as well as the elasticity they require, entirely on demand. That’s a totally different mindset and approach from a data center orientated approach. Unlike the connectivity limitations outlined in the “cons of in-house data center ownership” section, by outsourcing data center operations, especially to a carrier neutral co-location facility, cloud providers get access to a wide choice of connectivity providers. This not only allows customers to ensure the most optimal connection is in place for their business, but that they are protected from outages and have an immediate fail-over option that ensures redundancy. What’s more, this choice of provider creates competitive economies of scale, giving customers the most cost-effective options for high-performing services. In reality, taking a look at public cloud providers, those with legacy businesses in hosting, including Rackspace and GoGrid, tend to run their own facilities, whereas pure-play cloud providers, like my company CloudSigma, tend to let others run the data centers and host the infrastructure. The business of operating a data center versus operating a cloud is very different, and it’s crucial for such providers to focus on their core competency. If a provider attempts to do both, there will be sacrifices and financial choices with regards to connectivity, capacity, supply, etc. By focusing on the cloud and not the data center, public cloud IaaS providers don’t need to make tradeoffs between investing in the data center over the cloud, thereby ensuring the cloud is continually operating at peak performance with the best resources available. Patrick Baillie is the CEO of CloudSigma, an Infrastructure-as-a-Service (IaaS) provider offering a flexible web based and API driven platform based in Zurich, Switzerland. Image courtesy of Flickr user The Planet. What about modular DC approaches, such as BladeRoom, for example? Might they be a feasible “middle ground”? I realise they don’t address the connectivity and location problems, but they might help the other areas. How about SLAs? Would it be possible for most iaas players who may outsource thier datacenters to offer high qos SLA’s in today’s market..
What are the perceived risks for the end users? E.g simplecdn which had offered a retail and bulk cdn through a outsourced isp partnership closed their service suddenly one day. Some sort of fiscal partnership issues were cited widely as a reason..
@Sankar, you raise some interesting points. You are absolutely right that the data centre is the foundation of any public cloud. Therefore, any one cloud location can only be as reliable at a minimum as its data centre. The question therefore is, can a dedicated data centre provider do a better job at running a data centre than a public cloud provider? We’d say definitely yes, even for a provider operating at scale like AWS. I’d point you to our US data centre at http://www.switchnap.com to draw your own conclusions. Even if a public cloud provider could run a data centre to the same quality as a dedicated provider, is it the best use of resources versus investing in core product innovation? The argument for our customers using IaaS is not that they might not have the scale or ability to do their own infrastructure but that doing so has an opportunity cost versus other activities. It is a business focus argument.